The formative years of my spiritual life were primarily shaped by two lineages. The first lineage that influenced me was the Hindu enlightenment tradition known as Advaita Vedanta. The second influence on my thinking was the evolutionary spiritual philosophies of Sri Aurobindo and Teilhard de Chardin and later the ideas of the American evolutionary philosophers. These influences combine in a powerful way to create a model of spiritual evolution as the growth of one dynamic and conscious whole being that is the inspiration behind my entire life. My initiation into Advaita Vedanta was almost exclusively experiential. I read very little of the literature associated with that path during the early years of my spiritual life. I knew of some of the great masters of that tradition such as Ramana Maharshi and Sri Nisargadatta, but I had never studied their teachings. My work in this path came through an American teacher named Andrew Cohen who had worked with a disciple of Ramana Maharshi. As for myself, long years of intensive and disciplined practice have blessed me with repeated experiences of the already liberated nature of my true being. Over and over again I was thrust into the recognition that the source of my consciousness was a free-floating awareness and that, in the famous words of Nisargadatta, I am that. Experiences of this type are often referred to as non-dual awakenings. During these extraordinary episodes you recognize that the true nature of reality is Oneness. Reality is not a collection of separate things; it is all a manifestation of one consciousness. When this realization of Oneness is brought into contact with the perspective of evolutionary spirituality the combination leads to a realization that can be described asevolutionary non-duality, or as we have been calling it here continuity-unfolding. In the previous chapter I outlined the premise of this book in terms of the emergence of the soul of a new self. The implications of this emergence is that if we liberate ourselves from the restricted perception of our current sense of self we will slip beyond the current limits of our dimensionality into the fullness of who we are. At that point we become available to participate in a process of reconfiguration that will result in the formation of a new sense of self. This sense of self is not going to be another version of a thinking-thing self. It will be something completely different. 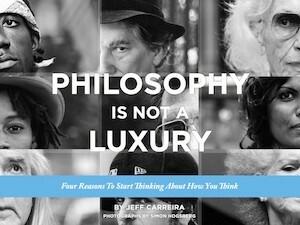 We typically think about ourselves as human beings as if we were thinking-things. We see ourselves as entities that are aware of our own existence and are able to perceive and think in order to make conscious decisions. It may be more useful to think of human being as a way of being. As I watch people walking in and out of this coffee shop what am I seeing? As each next person walks up to the counter, scans their inner experience and decides between coffee and tea, am I seeing the individual actions of isolated entities or unique manifestations of a way of being? Typically I assume that I am seeing separate, isolated individuals making independent choices. If I sit here long enough I can start to see something different. I start to see a way of being manifesting itself. I start to see a range of possibilities being expressed in unique ways by each seemingly individual entity. So where does the sense of self exist? Is it within the individual or between them? As part of our journey of discovery we will see that what we call human being is really a way of being that lives in the space between us. The sense of self is the primary carrier of that way of being, but that sense of self does not exist within individuals, although it is replicated there. We all hold a copy of it. In truth it really exists in the relational space between us. The way of being human has changed throughout history. New eras of history are built on a new sense of self that gives rise to a different range of possibilities. In the European Middle Ages we were the ignorant children of an all-knowing God. With the advent of the Enlightenment we became thinking-things capable of rationality and understanding. The Enlightenment brought with it new potentials that simply did not exist in the Middle Ages. At the same time there were things possible in the Middle Ages that we lost access to in the Enlightenment. For instance, the English poet and theologian Samuel Taylor Coolridge feared that the age of reason would be the death of imagination and he advocated for the practice of what he called the wiling suspension of disbelief. And the Danish philosopher Soren Kierkegaard argued passionately for the importance of being able to exercise faith along with rationality. At its most foundational level a culture is defined by a sense of self, and that sense of self exists within the culture, not just in individuals. Analogously, the dance does not exist only within individual dancers, it exists in the relationship between the dancers as well. Dr. Jeffrey Kripal of Rice University has devoted his life to studying mystical potentials. He points out that the different cultures that exist on this planet currently have different ranges of possibility. Each culture has access to certain mystical experiences and not others. Expanding the range of mystical access in our culture is a primary focus of this book, but for now it is most important to realize that at the deepest level, cultural development occurs through shifts in the sense of self, and as the sense of self shifts, so too does the range of possibilities available to us. The process of self-re-creation is a process of defocusing and refocusing. We first allow our current sense of self and our experience of reality to fall out of focus. Then we lean into a refocusing process that is not happening inside of us but between us. This refocusing process is the birthing process of the soul of a new self. It is happening in reality not inside of us. Reality is moving to a new equilibrium. It is shifting its center of gravity. The new focal point that it comes to will be permeated with a new sense of self. If we let go of who we think we are and relax into the universal process from which we came, our energy and consciousness will be reconfigured into a new way of being. In the remainder of this chapter we will take a closer look at the defocusing process. We will explore how to let go of our current sense of self and our existing perception of reality so that we are available to participate in the universal process of self-re-creation. Many of my experiences of defocusing came through the practice of meditation so we will start this inquiry there.